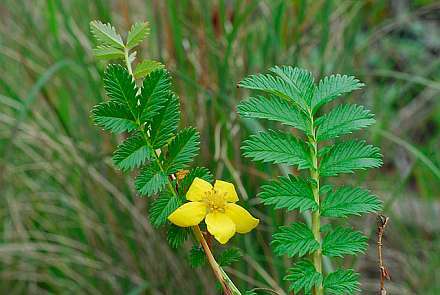 Easy to grow, ferny leaves, silver beneath, flower like a strawberry's but yellow. Likes wet conditions. Spreads by runners like a strawberry. Jepson lists it as invasive in the garden.